I’m addicted to Netflix. Whether I’m too tired from staying up to watch ‘one more episode’ of Breaking Bad or bedbound from bingeing on episodes of (insert favourite show here), I’m sad to say that I have a problem. However some good has come from my online addiction. After insomnia led to me watch a documentary that I thought might send me to sleep, it in fact opened my eyes to the world of juicing. Fat, Sick and Nearly Dying follows the story of Joe Cross who is on a self-proclaimed juicing mission. I won’t bore you with the details but essentially I bought a juicer, I found Jason Vale’s 3-day detox plan and I bought a lot of fruit and veg. Well, for at least 12 hours that is. Until my insides were begging me for food and my head was throbbing from an invisible man going at it with a pickaxe. The first 24 hours were hard! You see like most of us I feed my body daily with copious amounts of tea and coffee, eat the wrong things at the wrong times and who am I to turn down a working lunch which involves a glass (OK, sometimes a bottle) of wine? I hadn’t realised that not only was I a Netflix addict, I was also battling a sugar and caffeine addiction. These things should come with warning signs! After battling the first 24 hours of Jason Vale’s 3-day detox, I did wonder what the second day would have in store. As my work colleagues cowered behind their desks in fear of the ‘ravenous juicer’, I actually found myself to be rather energised after my morning juice. By mid-afternoon and after a 30 min high intensity work out, I found myself to be full of beans. Not literally, that would be cheating. Expecting a ‘what comes up, must come down’ crash, I’m pleased to report that day 2 was far easier than day 1. Result. With the end in sight I thought I would be more energised on my final day of my detox. I was wrong. My body seemed to understand that eating wasn’t on the agenda however my mind was planning a midnight feast to celebrate the end of the detox. Slightly more sluggish than the day before, the only thing powering me through was the thought of completing the detox and FINALLY being able to eat again. Shopping. What girl doesn’t like shopping? Add ‘food’ to the start of the sentence and it soon turns from heaven to hell. No one likes food shopping. Buying all the organic fruits and veg was a little bit of a hassle (3 super markets were visited) however nothing prepared me for having to go back into a shop to buy last minute ingredients. A word from the wise, buy everything you need before you juice! 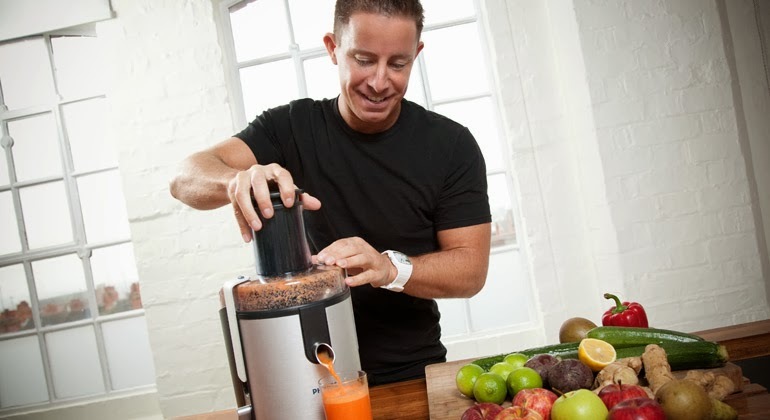 To sum up juicing, it’s great but it’s a bit of a faff. I can see how a 3-day detox would be very beneficial to let’s say ‘undo’ the badness of an alcohol fuelled weekend or to help you downsize those wobbly bits to get into a slinky dress, but a regular 3 day stretch is just not for me. Instead, I think I will go forward with my juicing revolution one day at a time by incorporating recipes into my everyday life. Whether I’m in need of a pick-me-up, a pre/post workout boost or I just fancy a good old injection of vitamins into my system, there are 100s of recipes out there which all have their own health benefits. So if you’re feeling like you’re in need of a boost, give juicing a go.